Growing up in the Florida Everglades, Lizzie, an undisputed tomboy, doesn’t have to look for trouble. It finds her. 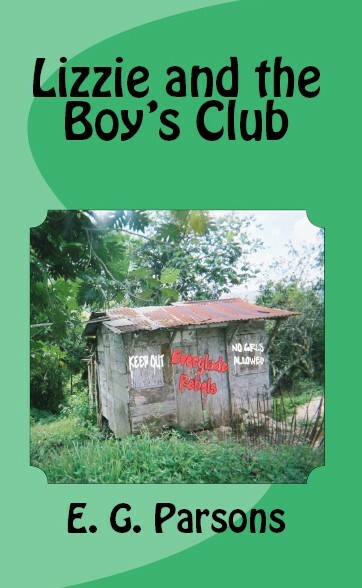 Determined to prove a girl is every bit as good as a boy, she tries to join the Everglade Rebels, an all boy’s club. Come with Lizzie on her adventures, as she makes a bid for female equality. A story for both children and adults, “Lizzie And The Boy’s Club” will take you back to a time of coal oil lanterns and outhouses. A wholesome adventure about friends, family, and one little girl who can’t stay out of trouble. Hope your brother is well. Sometimes life seems to repeatedly hit us on the head, making it painful to keep our chin up. If you do continue the Lizzie series I can guarantee you a sure sale. Good luck.